Stingray Fishing Charters is committed to bringing you the best experience possible. Our Skippers are professionals with years of experience. 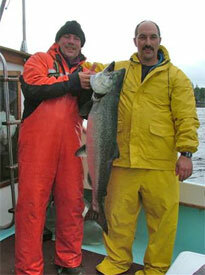 Prince Rupert offers all 5 species of Pacific Salmon as well as bottom fish and shellfish. Whether novice or expert, you will enjoy the thrill of fishing for Salmon and Halibut in Prince Rupert, B.C.